Manufactured by J. P. Seeburg Company in Chicago, IL. Contains violin and flute pipes, xylophone, snare and base drum, and traps. 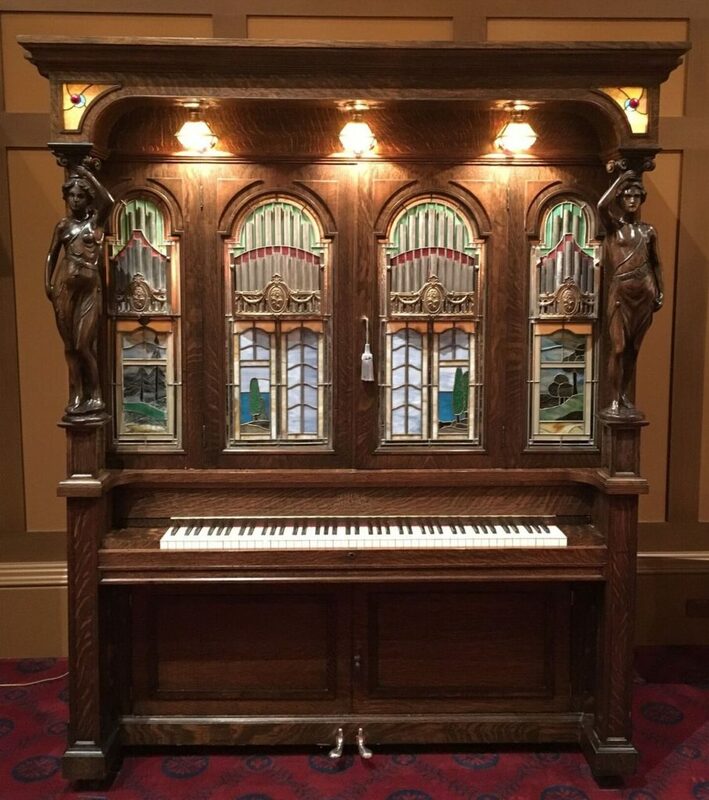 The Style H is considered to be the most ornate American orchestrion ever made. It has two statues (named Strength & Beauty), four art glass panels, three hanging lamps, and side “clown” glass. Most were made with quartered oak.